Eventually, the post-SHTF reconstruction phase will begin. This is America, the strong will survive and rebuilt. Advanced degrees will be as useless and paper money – unless the college education involved a still essential skill, such a medical or engineering training. Hands-on and off grid survival skills will once again be in high demand. In a bartering or post-SHTF currency society, we will need to once again be able to use our hands and bodies as well as our minds to make a living. 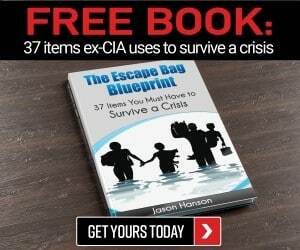 Preppers should be stockpiling not only water, shelf-stable food, and ammo to ensure readiness for a doomsday disaster, but useful knowledge and skills as well. If a “career” was useful and lucrative during the 1800s, it will be again after the SHTF. You will not be able to simply “Google” something or watch a YouTube video to learn how to complete a survival project. Taking a hands-on training course now and perfecting a hobby or homesteading skill will not only enhance your chances of survival, it will allow you and your loved ones to thrive after disaster strikes! Anyone with some type of medical training will be assured a valued place in a post-apocalyptic society. Diseases will spread even more rapidly during a power grid down or equally substantial SHTF scenario. Even a common cold could become deadly when you can’t call 911. Taking some first responders courses or advanced first aid training will give at least a modicum of skills for which to barter when a TEOTWAWKI disaster happens. Learning how to grow your own pharmacy and how to make natural remedies will turn you into a post-SHTF pharmacist. Begin making and properly preserving natural remedy ingredients now and stockpiling glass bottles and containers to house the items you will be bartering or selling during the doomsday disaster reconstruction phase. Print multiple copies of all your remedy recipes and leaf/plant/bark/herb, etc. identifying photos – making sure to store them in a portable fireproof safe to protect them. Manual and inexpensive capsule makers should be added to your preps, along with varying sizes of the gel caps to ensure the proper dosage can be administered to both children and adults. A clever apothecary operator will also learn how to treat animal ailments naturally and work in conjunction with the veterinarian or pseudo vet – a seasoned farmer/rancher. The loss of livestock, especially if an epidemic like avian flu or swine flu breaks out, could thwart a community’s ability to survive. There will be no more running to a big box store to get what you need. Horses will once again primary mode of transportation – increasing the need for at least one blacksmith in every community. In addition to merely making horse shoes, a blacksmith forges metals for weapons and tool making, makes and repairs farm equipment, and can work efficiently and skillfully with steel and wrought iron to make wagon wheels, sturdy doors and gates. Although it still baffles me, not everyone grows at least some of their own food. Rural areas will be far better off after the SHTF when it comes to maintaining a sustainable food supply, but unfortunately some Americans have become too reliant upon modern machinery, tools, and commercially produced fertilizers/insecticides to be able to immediately maintain their current levels of crop production. Learning how to grow and raise your own food the old-fashioned way, including the breeding and birthing of livestock, could make you a king or queen in a post-SHTF world. Begin learning how to farm/ranch the way the Amish do, there is at least one Amish community in nearly every state. Most Amish farmers are willing to share their knowledge for a price, and sell their equipment. Amish auctions, particularly the ones in Ohio Amish Country (Mount Hope Auction) and in Pennsylvania Amish County, are a must visit for all preppers who want to acquire horse-powered and manual farming and ranching tools and equipment. SHTF survivors with engineering degrees or skills will easily be able to not only barter their services but play a substantial role in the rebuilding of their community. Their scientific knowledge will be put to good use when it comes to designing and building off grid utility and transportation systems. Creating power sources using solar, water, wind, and steam-powered machines will help reestablish essential services to the community. The engineer will only be able to get so far without the aid of quality mechanics. Keeping farm machinery running will be a top priority for not just the farmer or rancher, but for the entire community which depends upon the crops, livestock, and hay produced on their property. Once again, modern technology has made mechanics dependent upon high-tech gadgets and power tools. Mechanics and preppers inclined to enhance their survival skills in this area, should go old school and learn (or re-learn) how to make repairs using manual tools and how to work on antiquated equipment, like old tractors, wagons, etc. to position themselves as a true post-SHTF mechanic. Meat will not be coming from the grocery store after a doomsday disaster. How to butcher and preserve beef, fish, and poultry will be an invaluable skill. An apocalyptic butcher must know how to slaughter an animal using low-tech tools, how to dress the animals to minimize waste – to ensure the essential protein will go as far as possible. The safe maintenance and repair of homes, barns, fences, as well as the building of new structures will be an ongoing need after the SHTF. Retrofitting existing homes and buildings to they can utilize utilize alternative energy systems for heating, cooking, and water distribution will require a coordinated effort between carpenters and engineers. Designing defense barriers will also mandate the use of both carpentry and masonry skills. Skilled tradesman (and women) will be in high demand after the SHTF reconstruction phase begin and until the lights come back on – if they ever do. The stone and brick layers will wield their trowels, mallets, and chisels to build not just barrier and repair barrier and structure walls, but to build secure living quarters and fireplaces in homes so the residents can stay warm during the winter, boil water, and cook food. Once the blacksmith makes the horseshoes, a farrier will be needed to fit and secure the hoof-protectors on one of the most valuable possessions a disaster survivor will own – his/her horse. Horses, when ridden or driven on a daily basis, will need to be shod ever six to eight weeks – sooner if the strenuous farm work cause a horse to throw a shoe – which is not uncommon. Road riding, traveling over pavement on horses, will also cause added wear and tear on shoes which would last a lot longer if the horse was merely hitting the trails for pleasure riding. A quality farrier can also float a horse’s teeth to prevent or repair tooth and gum issues which can prevent the horse from eating or drinking properly, leading to death. Information is power, that old adage will still ring through in a post-SHTF society. A chain of operators in various communities can serve as a warning system about approaching bad weather, disease, or marauding hordes – and call for help when communities and neighbors make a pact to band together in times of need. Blazes will both rage unchecked and become more prevalent after a long-term disaster. A bucket brigade and fire wagon will be necessary to prevent homes, barns, fences, etc. from going in flames on a regular basis. While being a full-time firefighter might not be lucrative enough to be a true post-SHTF career, since the service will be during emergencies only, firefighters will be able to negotiate some type of regular compensation from community members to keep them at the ready and working to reduce potential fire hazards to prevent fires from happening as much as possible. Leather shoes, boots, belts, saddles, straps of all kinds, knife sheaths, gun holsters, and a plethora of other items will need to be made and repaired after an apocalypse. Learning how to remove and tan a hide will become a necessary skill and one which can be repeatedly bartered after the SHTF. Few women routinely teach their daughters to sew anymore, a practice which once one commonplace and a cherished tradition in American families. Clothing, socks, and blankets will need to be made and repaired after a long-term disaster. A seamstress could also aide medical providers when the stitching of wounds becomes necessary. Learn how to sew by hand and invest in an old-fashioned sewing machine – complete with extra parts for repair purposes. Stock up on parchment paper or cardboard for use in pattern making, chalk or markers, also for pattern making purposes, and plenty of thread and needles. Learning how to spin wool and make thread will be valuable skills for not just your daily post-SHTF work but so you can offer finished supplies for sale or barter as well. Cookware and food storage containers will need to be replaced during the disaster rebuilding stage. 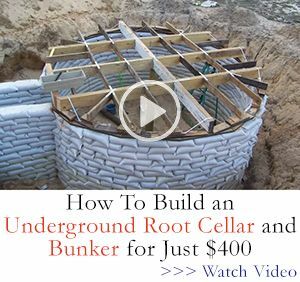 Not only will a survival potter need to be able to work efficiently using a manual pottery wheel, he or she must also know how to harvest their own clay from the ground and built/use an off grid kiln for firing their creations. Barrels will be used far more frequently for storing and preserving food and for the transportation of goods. The barrel-making process must be learned using only off grid tools to be of any use after the SHTF. Wood buckets will also be in high demand, especially for manually extracting water from wells which no longer function after the power grid fails. Bees pollinate 70 percent of what we eat and have been experiencing a drastic population decline for the past decade. Once chemical pesticides are no longer available the bee population should stabilize, but there is no guarantee other environmental issues will not develop and cause irreparable harm to the little pollinators. Farmers frequently rent bee hives to help pollinate their crops, the need for that type of service will not evaporate after the SHTF. Honey is not only a sweet treat, but has a plethora of healing properties – making it a strong bartering item after a doomsday disaster. An individual who can repair and manufacture guns will be in constant high demand during the SHTF reconstruction era – and beyond. A gunsmith should also learn how to reload ammo and make bullet casings to increase his bartering ability and level of services. There are many ways to make a living offering food preservation services after the SHTF. Building both a smokehouse and icehouse to rent space in is an excellent idea. Being able to cut and haul the ice from a frozen pond will maintain an icehouse in many climates, if properly constructed and insulated. A pond need not be handy if you build and maintain the ice house now by freezing water in 5-gallon buckets with secure fitting lids and layer sawdust or a similar type of insulating material between the rows of buckets stacked from the floor to the ceiling. Bartering the use of your canning and dehydrating skills and supplies will enhance the post-SHTF food preservation operation, as well. Preserving and growing your own seeds for sale, along with other plants and gardening supplies is yet another post-apocalypse career option. If you build a greenhouse, or several greenhouses and use alternative or off the grid energy sources to heat them through the winter, you can grow most crops year around in even northern climates and cultivate dwarf fruit/citrus, and coffee trees, along with tobacco plants, for barter also. Being a provider of firewood and timber for furniture-making, structure building, and fence posts will be a lot of hard work, especially when using manual tools and horses/wagons to get the job done, but the service will be an invaluable one post-SHTF and provider the sawyer with plenty of bartering power. The skills and supplies to make and repair shoes have almost been lost entirely in our modern society. Once the SHTF, cheap imports from China, or expensive ones from elsewhere, will no longer be available. Gone will be the days when folks simply throw away a pair of shoes or boots because they have a little wear – or even a gaping hole and the sole falling off. A cobbler should expect a steady flow of work when America being rebuilding after a doomsday disaster. Rope making is yet another lost skill. Ropes of all types and sizes will be used to accomplish a host of daily tasks in an off the grid society. The rope maker could also use his skills to teach knot making or to travel to the farm, home, or business in the community and tie the knot necessary to get the task accomplished. The community will need defended perhaps from itself, but most assuredly from outsiders. A sheriff, marshal, police chief, and a staff of professional officers or citizens trained in self-defense and firearms, will be essential to maintain stability and safety in the months and years following a major disaster. Repairing tin ware and crafting household items, especially cookware and utensils out of tin, and working with mechanics and engineers to provide small parts for projects, make this old-fashioned job a viable survival skills bartering options as well. Many of us have decorative baskets sitting about somewhere in our home, but the baskets needed to hold and transport supplies and for use during off grid chores, will need to be of a farm more sturdy variety post-SHTF. A basket maker or weaver might not have daily customers, but will still be an essential worker in the new society. A person who has the skills to crafter wooden wheels that are bound together with metal fittings made by the blacksmith will not be sitting with idle hands after the SHTF. Wagons will be made and used in the reconstructed America just as they once were relied upon during the 1800s up into the early 1900s in rural areas. A mason would have no materials to work with were it not or the brick maker. This individual molds and fires sturdy bricks so they can be used in the construction of structures, fireplaces, and other projects. A mason who can make bricks as well as properly lay them doubles his worth to the community and greatly enhances bartering opportunities. Stills can be used for a lot more than manufacturing spirits – many of which hold medicinal properties. A moonshiner could barter not just his corn whiskey abilities, but make stills which can be used to filtrate water – a vital post-apocalypse skill! Community members who have ponds or creeks running through their property, or live next to a lake, are sitting adjacent to perhaps the most valuable commodity of all – water. Hauling the water to market or down the streets of the town to barter for other essential or necessary items will not leave the property owner wanting for anything after the SHTF. Children will still need to learn to read and write after modern society collapses. Formal education degrees to instruct children will no longer be necessary after the SHTF – and the school day and school year will likely be shortened. Homeschooling preppers already know how to educate children of all ages and should have a stockpile of learning materials on hand to do so. The coursework in a post-SHTF world should include the basics and essentials – something most public school have abandoned over the past 20 years. Science, reading, writing, math, and American history should be focused upon, with a cross-over curriculum to maximize the time spent in class. Hands-on science learning and vocational training should be emphasized to ensure the students are truly prepared for the future they will be facing. A person who possesses both the skills and supplies to make body soap, detergent, cleaning materials to eliminate germs, and alternative fuel to power lamps and vehicles converted to biodiesel fuel will also have a sustainable bartering skill. Candles will replace lightbulbs in our lives after the SHTF. A beekeeper who can also make candles, or who work in conjunction with a spouse on the post-disaster business will increase bartering power. Stockpiling wicks is a great idea, but eventually those will run out, so learn how to make your own! Garbage and human waste running in the streets will breed deadly disease quickly. Developing a garbage removal business and learning how to make composting commodes will not only give you a marketable survival skill, but help protect the lives of you loved ones and entire community after society collapses. The old fashioned general store will become the central hub for a post SHTF community. Stockpiling bartering item now will establish your inventory for after disaster strikes. The supplies will run out, unless you are also capable of making replacements for at least some of the items to restock the shelves. Bartering table space for other community members to sell their wares and advertise their services on a bulletin board should be a part of the trading post doomsday career choice plan as well. In addition to the brick-and-mortar general store, you could host a weekly or monthly flea market/farm stand and barter space with those who want to showcase their items and services to the community. Networking with HAM radio operators to advertise the market and the service providers may bring survivors from neighboring towns to browse and sell as well. Morale booster events could become a part of the trading posts offerings, residents will yearn for some levity and once the area is safe enough, embrace the idea of a dance or similar event, especially around the holidays. 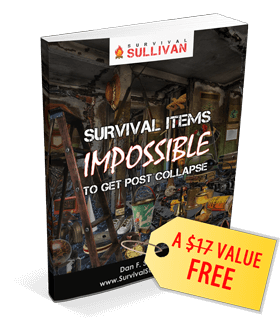 Previous Do you have what it takes to survive a disaster? interest of things the person who knows will teach you if want to learn.I know also something you need to remember is to ‘RESPECT’ the elders also. A reader just emailed me to suggest weavers, I’m just adding that here. How about ministers/pastors who will be needed to share God’s Word, minister to the spiritual needs of survivors, perform weddings and funerals and promote morality among survivors even though the SHTF! Yes, but don’t expect to make a living from it. In the 1800s, pastors on the frontier were often paid in garden produce, eggs, a chicken, milk, or part of a beef cow. But I expect that it will be very difficult for ministers to survive just on pastoral services. Better to know 1-3 other skills, to combine with serving as a pastor. Botanists and zoologists will be good for finding food. Plant identification is a must post shtf. Learning how to grow things for reasons other than food say essential oils is a must. Don’t forget the healing power of comforts like a bouquet for that hard working woman. Yes it will be stressful and having a way to cut the stress will be important if we will keep going. Good list of jobs. It was interesting, in that I integrated many of those into my novel(s) about small town life after a long term grid-down event. Your last one, the Trading Day, was a significant factor for the social aspect as well. I didn’t get to ALL of the jobs you listed but did many of them. One that you didn’t list was ‘transportation’. Like in the pre-railroad days, people with horses and wagons would charge to haul people and goods longer distances. Many of the characters found (or stumbled upon) work they could do, but many had no useful skills. Who needs a software analyst after the grid goes away? Many people with ‘desk jobs’ would be reduced to simple manual laborers. Even so, not many people had a surplus of supplies with which to ‘pay’ manual laborers. Another problem with the grid-down economy is how much we rely on cash as our unit of trade. Without cash to quantify things, how do people decide how much a service is worth? Is the repair of a pair of shoes worth a dozen eggs? A bale of hay? A day’s labor splitting wood? People will have a hard time getting paid for the skills on your list w/o a common unit of exchange. You seemed to miss electrician motor repair. A power producer and electrical worker would be a vital asset in many respects. Something’s only worth what someone else willing to give you for it. The art of dickering/negotiation/bartering is a valuable skill. Most of the trades mentioned will have to trade goods and services. Estate sale.net great place to find old tools for pennies on the dollar. Don’t through away anything. Old clothes makes quilts.